Forecourt retailer Maxol is considering opening its own standalone coffee shops to help stop it from becoming too reliant on its fuel business. The family-owned company announced a €100m investment plan during the week that aims to move it from being a fuel-driven firm to becoming a convenience-led business. Part of the investment plan was the establishment of its own brand, Rosa Coffee. The group poured €1.7m into developing the new coffee line and will launch a new advertising campaign on April 22. "Today's road users are connoisseurs of coffee," Maxol chief executive Brian Donaldson said. "By investing in our own coffee brand, rather than bringing in a third party, we own it, we have full control of it, and we're in command of its product development." Donaldson said the group - which sold 4.35 million cups of coffee in its outlets in 2018 - would consider if there was a "good commercial case" for its own-brand coffee. He admitted that it was "one of the things we're continuing to explore". 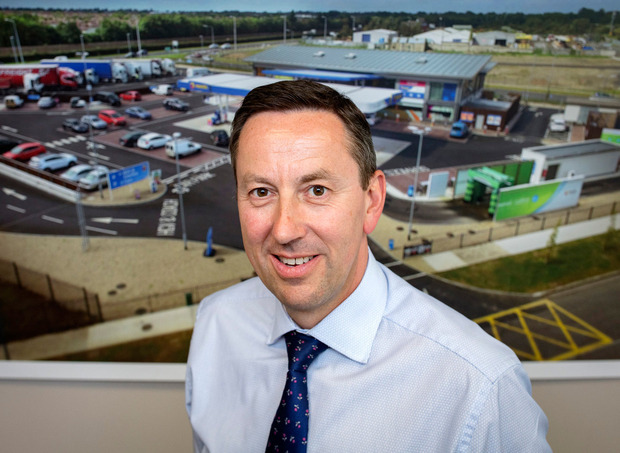 Over the last year, the Maxol Group has sought planning permission for residential developments on two of its forecourt sites. Donaldson insists this is not so the business can enter the housebuilding sector. Instead, he said that both sites are up for sale as they were not suitable for its primary business. Maxol was granted permission for 90 apartments on its site on the Beach Road in Sandymount in Dublin 4. The company has also sought permission to build on another of its locations in Saggart in south-west Dublin. Donaldson said that the business will also be heavily investing in its car wash network, which he described as "big business". Around 700,000 cars are washed through Maxol on a yearly basis. A total of 18 cashless car washes have been installed at its stations. Donaldson said there are plans for another 15. Ciaran Moran Meat processors have said that shipping cattle directly to Britain for processing will not be an 'antidote' to high tariffs that may be imposed on Ireland beef in the event of a no-deal Brexit. The Irish Farmers Association (IFA) has claimed that recent cuts to milk prices mean they are now at '1995 levels' and that dairy processors have some serious questions to answer.